Rose Blossom Legacies: Summer Club Pages are Here! Summer Club Pages are Here! 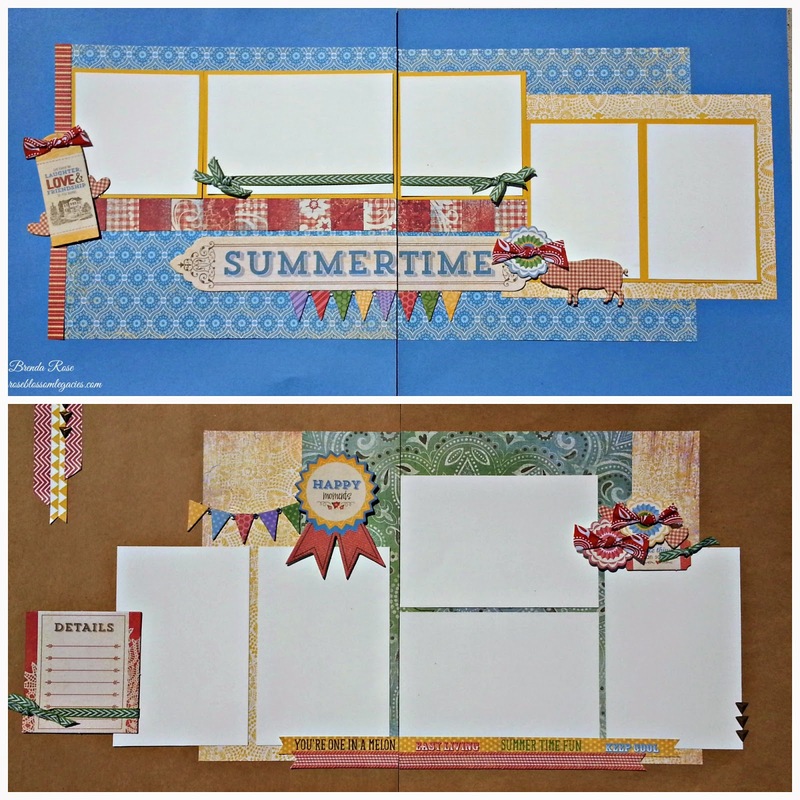 It's time to introduce the Summer Scrapbooking Club Pages! If you choose to come to or purchase one month, the cost is $25. If you choose both, the cost is $40. As you can see, the savings are significant when purchasing both and you will have 8 complete completed pages with extras leftover to create even more projects! I have focused on creating simple, but summery and fresh, pages so that you can showcase your summer photos. In June, we'll be working with Lollydoodle. In July, we will be working with Jubilee. These papers make me happy! After such a long winter, it's nice to work with such bright and cheerful colors!! I can't wait to scrap State Fair photos on Jubilee! If you would like to come to my in-home classes, please e-mail me at girlygirlrose43@msn.com. Reserve your spot early so that you are guaranteed a spot! To order long distance, click on the drop down box to select what you would like. As you will notice, there is also a shipping savings when you order both kits at once. I will be mailing all long distance kits the third week of June, so whether you order one or both, you can expect your kits in the mail at that time. I hope that you are having a wonderful week and that you are finding many blessings in your day! Gorgeous layouts Brenda! The Lollydoodle is so cute!